Lima is not only the capital of Perú, but also holds the title to have been the headquarters of one of two most important viceroyalties of the Colony. It is because of it that its architectural style can still be appreciated in various establishments of the city, especially in all the cultural institutions that preserve our ancient legacy. One of the places with greater colonial tradition in the capital city is the district of Pueblo Libre, in which i located the National Museum of Archeology, Anthropology and History of Peru, the oldest one of the country and one that holds a great quantity of treasures. As opposed to others, the National Museum of Archeology, Anthropology and History has a permanent exhibition with the most detailed chronologic sequence, that has been since the apparition of the first forms of life to the republican period. It is notable the conservation of ceramics pieces, textiles, metals, organic material and human remainders (mummies) of the pre-hispanic cultures, like Chavín, Paracas, Chimú, Mochica and Wari, just to mention a few. 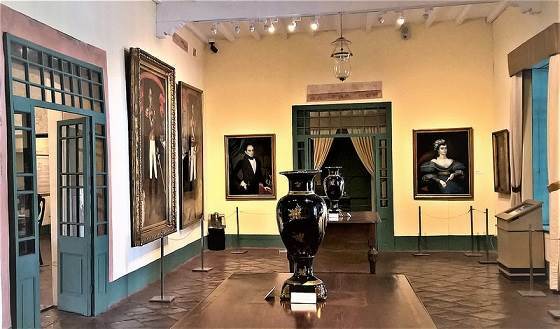 Another fundamental part of the visit is the Quinta de los Libertadores, with paintings and relics of the era of the periods of emancipation and independence, that take place in a large house of the 18th century next to the Museum where the liberators Mr. José of San Martin and Simón Bolívar lived. Besides the traditional exhibitions, there have been inaugurations of new permanet exhibitions since a few years ago. In the years 2003 and 2004 the Tawantinsuyu Room was created dedicated exclusively to the Inca Empire- and the Formative Room (of the first pre-hispanic cultures), respectively. In 2005 the New Room Republic was created, while in 2006 the Virtual Room was inaugurated to enhance the visit of the children to the place. As for the temporary exhibitions, the Museum also has a space that harbors the work of diverse artists and artisans, inspired by history and Peruvian traditions. 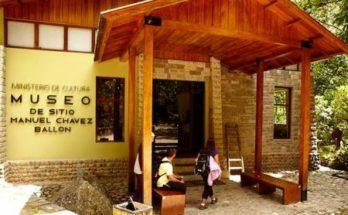 The Museum of Archeology, Anthropology and History of Peru opens its doors during all year in a schedule that goes from Tuesday to Saturday from nine in the morning to five in the afternoon and nine in the morning to four in the afternoon Sundays and Mondays. Also, the last days from each month the hours extend to eight at night. The general entrance is S/. 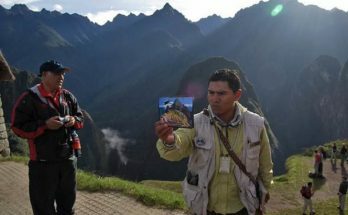 11,50 and the reduced fare visit (without guides) is S/. 3,50 for a visit that lasts approximately two hours. 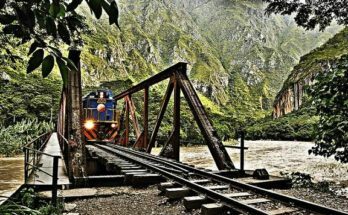 To enjoy the visit to the Museum without worries, we recommend to use the service of the agency of tourism Rundomundo, that organizes full day tours to its facilities and those of the Museum of Gold of Peru*. It includes the hotel pick up, private transportation, entrance to the museums, professional guided tours and time to have lunch in between visits to each museum. The best place to do this is the Antigua Taberna and Bodega Queirolo (avenue San Martin 1062), located a couple of blocks from the Museum of Archeology, History and Anthropology. This one has a mural of photographs on the history of the district of Pueblo Libre and, of course, offers appetizers, tamales and butifarras (pork sausage) accompanied by the best wines and pisco of the country.